The Ultimate Oxy-Rich is a product combining the strength of oxygen with the healing properties of aloe vera, then strengthen the mixture by adding natural herbs. 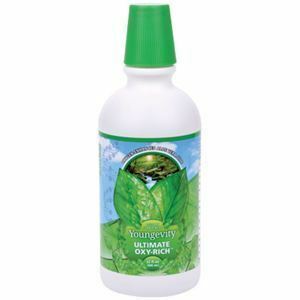 Ultimate Oxy-Rich contains pure Aloe Vera gel cold pressed 100% from Aloe Vera plants, together with essential minerals needed for optimal health. It has been specially processed to increase its oxygen content. You will see that this product is a good choice when considering a lot of beneficial effects of Aloe Vera. Sulfur, potassium, chloride, carbon, iron, aluminum, magnesium, calcium, silicon, sodium, manganese, zinc, nickel, lithium, strontium, boron, cobalt, osmium, thallium, chromium, fluoride, neodymium, yttrium ,, Rubidium, Copper , lanthanum, thorium, cerium, antimony, beryllium, Thulium, bromine, praseodymium, silver, gadolinium, tungsten, dysprosium, Iridium, tellurium, zirconium, bismuth, cadmium, germanium, indium, phosphorus, samarium, tantalum, arsenic, cerium, europium, gallium, hafnium, iodine, molybdenum, rhenium, ruthenium, scandium selenium, terbium, vanadium, barium, erbium holmium, lutetium, niobium, palladium, tin, gold, platinum, rhodium, titanium, deionized water, natural berry cherry berry concentrate the flavor, hydrogen peroxide 35% (food grade), concentrated Aloe Vera gel, vinegar. Ingredients: Minerals of plant origin, purified water, fructose, natural flavors Blend, citric acid, sodium benzoate, potassium sorbate.